"In my heart, I'm as wild as the ocean that raised me." So let me preface this review by going back a few years. Okay, more than a few. When I was twelve, I compiled a lengthy list of every mermaid/siren novel my local library had. Then, I checked out as many as I could get my hands on and devoured them. Now, looking back, I only wish that I had found a book like To Kill a Kingdom. I just know it was the book I was secretly looking for. For me, this novel started out as a slow burn. I was struggling to bond with Lira's deadly character and I felt like I didn't see enough of her siren world to really understand her motivations and personality. However, as the plot progressed, I found myself completely immersed in this enchanting tale of love, war, and magic. I wasn't prepared for how much of a pirate tale this is, and I loved it. After all, what's not to like adore about a prince who would rather be sailing across crystal waters and slaying the enemies of his kingdom than reveling in luxury back home? Elian is perfect, and his character only improves as the story moves along. Same with Lira: she starts out as brutal and overly violent, but as she molds to fit in with humans, her personality evolves. Also, Alexandra Christo's writing? Really really good. It made me crave sea salt air and adventure. Give me more, please. My one point deduction: the main reason I couldn't award this book a perfect score was the lack of siren world-building. Sure, we know that Lira lives in a hidden ocean with her fellow siren sisters and crazy Sea Witch mother, but what does her home look like? What else do they do besides kill humans once a year? I needed more, not just to sate my personal curiosity, but also to help understand Lira. I had a hard time believing her character's drastic changes when I didn't really understand where she came from and what her past life was like to a large extent. But, having said that, this book is still pretty dang fantastic. It's got fearsome pirates, killer mermaids, gorgeous sirens, and plenty of action. 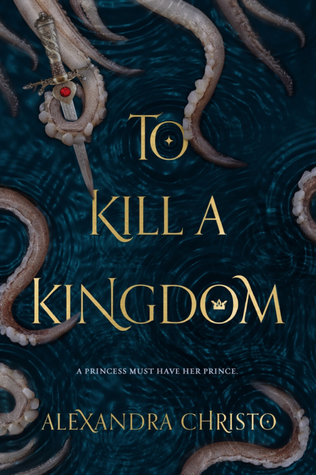 If you've got a thing for The Little Mermaid retellings, you've really got to give this one a shot. Me opening my arms to love this book.